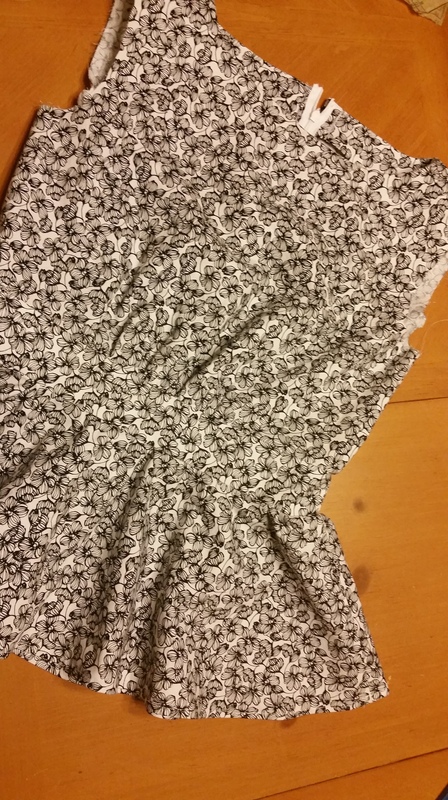 My first sewing project is a peplum style top that I made with my mom. I asked her if I could adopt her old sewing machine while I was visiting for spring break, and she said yes since she has purchased a newer one. She used to sew all of her clothes, so she was the perfect person to ask for help on my first project. Isn’t this fabric so cute?! Almost done! Still need to do the armhole and midriff facing, attach the hook and eye, and work a bit on the fit of the shirt.